From 4/2014 to 12/2015, Book Author , Incorporating with LAMBERT Academic Publishing - a trademark of OmniScriptum GmbH & Co. KG to publish the book “Matrix Algebra and Calculus”. From 03/2015 to now, Quality Assurance Committee member , Statistics Without Borders - American Statistical Association. From 2014 to 2015, Book Author , Incorporating with Scientific Research Publishing (SCIRP), China to publish the first edition of the book "Mathematical Approaches to User Modeling". From 2014 to now, Reviewer and Editor , Serving as reviewer and editor in a wide range of international journals and conferences. From 2014 to now, Book Author , Sunflower Soft Company, Ho Chi Minh city, Vietnam. From 2011 to now, Director and Researcher , Sunflower Soft Company, Ho Chi Minh city, Vietnam. From 2010 to 2011, Consultant , TMA Solution Company, Ho Chi Minh city, Vietnam. From 2008 to 2009, Lecturer , University of Science, Ho Chi Minh city, Vietnam. From 2008 to 2009, Team Leader , MVN Company, Ho Chi Minh city, Vietnam. From 2008 to 2009, Senior Developer , Bixon Company. From 2008 to 2009, Senior Developer , SECUDE Company. From 2005 to 2007, Researcher and Lecturer , An Giang University, Vietnam. From 2002 to 2005, Software Developer and Lecturer , Center of Software Technology and Center of Information Technology Development, Ho Chi Minh city, Vietnam. From 2001 to 2002, Software Developer , WorldSoft Company, Vietnam. From 10/2013 to 08/2014, The mathematical research "Approximation of analytic function" , The research proposes two approaches to approximate a given analytic function based on Taylor polynomial. From 2011 to 2013, Hudup - A framework of e-commercial recommendation algorithms , Recommendation algorithm is very important for e-commercial websites when it can recommend online customers favorite products, which results out an increase in sale revenue. I propose the framework of e-commercial recommendation algorithms. This is a middleware framework or "operating system" for e-commercial recommendation system, which support scientists and software developers build up their own recommendation algorithms based this framework with low cost, high achievement and fast speed. Moreover, two inventive algorithms for collaborative filtering based on mining maximum frequent set and Bayesian network are built inside the framework. From 2011 to 2013, Phoebe – A framework of estimating fetus weight and age , The project builds up a framework to estimate fetal weight and age via ultrasound measures. In general, this project has two objectives. The first objective is Proposing an effective algorithm which produces highly accurate formulas. This algorithm is a heuristic approach that always results in optimal formulas by the fastest way. The second objective is Introducing a framework that sets up the new algorithm in first goal and builds up a statistical tool which supports physicians and researchers in birth estimation domain. Moreover, physicians and researchers can discover new estimate formulas by themselves. From 2011 to now (Work in progress), RIM - Industrial robot simulator , The project "RIM - Industrial robot simulator" produces a simulation system for industrial robot arms (work in progress). From 2007 to 2009, Zebra – A User Modeling System for Adaptive Learning , This research proposes a learner model that consists of three essential kinds of information about learners such as knowledge, learning style and learning history. Such three characteristics form a triangle and so this learner model is called Triangular Learner Model (TLM). The ideology of TLM is that user characteristics are various and only some information is really necessary to adaptive learning and an optimal user modeling system should choose essential information relating to user’s study to build up learner model. According to this ideology, TLM will cover the whole of user’s information required by learning adaptation process and give the best support to adaptive learning. Moreover, TLM emphasizes on the inference mechanism by applying Bayesian network and Markov model into modeling user knowledge and learning style. Intelligent deduction is the best feature of TLM instead of providing user information only as normal user modeling system. From 2002 to 2005, AGmagic – An image searching framework , The research build up the image searching framework named AGmagic. The framework AGmagic uses the method so-called Markov Model Mediator to combine low-level features and high-level semantics contents of images in order to find images. Low-level features were extracted from segmentation, color histogram, color gradient, centroid. High-level semantic contents learned from user feedback are measures that reflect personal subjective feeling about the similarity among images. The combination of low-level features and high-level semantic contents gives out excellent result in searching images. Moreover AGmagic framework implements very successfully the segmentation algorithm. From 2000 to 2004, Design – Implementation of database algebra algorithms , The software Design implements almost algorithms of database algebra, version 1.0 copyright 2000, which is developed when I was studying the subject “Database Design” with teacher Nguyen, T. D. Tien at University of Science. The version 2.0 is issued in 2004 at the Center of Information Technology Development, now known as University of Information Technology, National University, Ho Chi Minh city, Vietnam. Software Design is written in Microsoft Visual C++ 6.0. The next version will support operating directly on databases such as MS Access, MS SQL Server, MySQL, Oracle and has more enhanced functions. Statistics: Expert Bayesian inference, parameter estimation and hypothesis testing. Medicine: Expert in meditation (Zen) and statistical medicine. Good knowledge at Oriental medicine and obstetric ultrasonics. Economics: Specialist of project management. Good knowledge at accounting, finance, and bussiness management. Nguyen, L. (2015, December 15). Matrix Algebra and Calculus. Hanoi, Vietnam: Lambert Academic Publishing. Nguyen, L. (2016). Mathematical Approaches to User Modeling. Long Xuyen, An Giang, Vietnam: Scientific Research Publishing (SCIRP). Nguyen, L. (2016). Longest-path Algorithm to Solve Uncovering Problem of Hidden Markov Model. (L. Nguyen, & M. A. MELLAL, Eds.) Special Issue “Some Novel Algorithms for Global Optimization and Relevant Subjects”, Applied and Computational Mathematics (ACM). Nguyen, L. (2016). Tutorial on Hidden Markov Model. (L. Nguyen, & M. A. MELLAL, Eds.) Special Issue “Some Novel Algorithms for Global Optimization and Relevant Subjects”, Applied and Computational Mathematics (ACM). Nguyen, L. (2016). Tutorial on Support Vector Machine. (L. Nguyen, & M. A. MELLAL, Eds.) Special Issue “Some Novel Algorithms for Global Optimization and Relevant Subjects”, Applied and Computational Mathematics (ACM). Nguyen, L. (2016). A Framework of E-commercial Recommendation Algorithms. In A. Fred, J. Dietz, D. Aveiro, K. Liu, J. Filipe, A. Fred, J. Dietz, D. Aveiro, K. Liu, & J. Filipe (Eds. ), European Project Space on Knowledge Technology and Health Applications. Lisbon, Portugal: SCITEPRESS. Nguyen, L. (2016, April 27). Beta Likelihood Estimation and Its Application to Specify Prior Probabilities in Bayesian Network. (H. M. Srivastava, P. Bracken, R. Jedynak, anonymous, & S. Zimeras, Eds.) British Journal of Mathematics, 16(3), 1-21. doi:10.9734/BJMCS/2016/25731. Nguyen, L., & Ho, H. (2015, November 23). A proposed method for choice of sample size without pre-defining error. (F. Shi, Ed.) Journal of Data Analysis and Information Processing (JDAIP), 3(4), 163-167. doi:10.4236/jdaip.2015.34016. Nguyen, L. (2015, October 9). An Advanced Approach of Local Counter Synchronization in Timestamp Ordering Algorithm in Distributed Concurrency Control. (N. John, Ed.) Open Access Library Journal (OALib Journal), 2(10), 1-5. doi:10.4236/oalib.1100982. Nguyen, L., & Ho, H. (2015, January 12). A fast computational formula for Kappa coefficient. (A. Genc, S.-A. Xue, R. Rison, & V. Rocha, Eds.) Science Journal of Clinical Medicine (SJCM), 4 (1), 1-3. doi:10.11648/j.sjcm.20150401.11. Nguyen, L. (2015, January 10). Feasible length of Taylor polynomial on given interval and application to find the number of roots of equation. (A. Moustafa et al., Eds.) International Journal of Mathematical Analysis and Applications, 1 (5), 80-83. Retrieved from http://www.aascit.org/journal/archive2?journalId=921&paperId=1017. Nguyen, L. (2014, October 21). Improving analytic function approximation by minimizing square error of Taylor polynomial. (A. Moustafa et al., Eds.) International Journal of Mathematical Analysis and Applications, 1 (4), 63-67. Retrieved from http://www.aascit.org/journal/archive2?journalId=921&paperId=1016. Nguyen, L. (2014, September). Theorem of logarithm expectation and its application to prove sample correlation coefficient as unbiased estimate. (A. Guezane-Lakoud, W. P. Fox, E. Francomano, S. A. Episkoposian, E. Nadaraya, A. N. Raikov, et al., Eds.) Journal of Mathematics and System Science, 4 (9), 605-608. doi:10.17265/2159-5291/2014.09.003. Nguyen, L. (2014, May). A New Algorithm for Modeling and Inferring User’s Knowledge by Using Dynamic Bayesian Network. (M. Z. Raqab, Ed.) Statistics Research Letters (SRL), 3 (2). Retrieved from http://www.srl-journal.org/paperInfo.aspx?ID=6933. Nguyen, L. (2014, May 28). User Model Clustering. (F. Shi, Ed.) Journal of Data Analysis and Information Processing (JDAIP), 2 (2), 41-48. doi:10.4236/jdaip.2014.22006. Nguyen, L. (2014, April). A User Modeling System for Adaptive Learning. University of Science, Ho Chi Minh city, Vietnam. Abuja, Nigeria: Standard Research Journals. Retrieved from http://standresjournals.org/journals/SSRE/Abstract/2014/april/Loc.html. Nguyen, L., & Ho, H. (2014, March 30). A framework of fetal age and weight estimation. (B. S. Shetty, J. Morales, a. badawy, C. Mowa, K. K. Shukla, T. Chen, et al., Eds.) Journal of Gynecology and Obstetrics (JGO), 2 (2), 20-25. doi:10.11648/j.jgo.20140202.13. Nguyen, L. (2013). A New Approach for Modeling and Discovering Learning Styles by Using Hidden Markov Model. (G. Perry et al., Eds.) Global Journal of Human Social Science: G - Linguistics & Education, 13 (4 Version 1.0 Year 2013), 1-10. Retrieved from http://socialscienceresearch.org/index.php/GJHSS/article/view/609. Nguyen, L. (2013, July 15). Overview of Bayesian Network. University of Technology, Ho Chi Minh city, Vietnam. Warri, Delta State, Nigeria: Science Journal Publication. doi:10.7237/sjms/105. Nguyen, L. (2013, June). The Bayesian approach and suggested stopping criterion in Computerized Adaptive Testing. (A. T. Al-Taani, Ed.) International Journal of Research in Engineering and Technology (IJRET), 2 (1-2103), 36-38. Retrieved from http://journalsweb.org/siteadmin/upload/74977%20IJRET021007.pdf. Nguyen, L. (2011, December). Essay On Leadership. PACE Institute of Management. Ho Chi Minh city, Vietnam: Loc Nguyen‘s Homepage. doi:10.13140/RG.2.1.4101.1929. Nguyen, L. (2011). Accounting manual. Institute of Human Resource Development, University of Economics. Ho Chi Minh city, Vietnam: Loc Nguyen’s Homepage. doi:10.13140/RG.2.1.1053.7687. Nguyen, L. (2011). The method of seven qigong exercises of archery simulation. (V. H. Nguyen, Ed.) Nguyen Hoai Van‘s website. Nguyen, L. (2010). Discovering User Interests by Document Classification. In I.-H. Ting, H.-J. Wu, T.-H. Ho, I.-H. Ting, H.-J. Wu, & T.-H. Ho (Eds. ), Mining and Analyzing Social Networks (Vol. 288 In series “Studies in Computational Intelligence”, pp. 139-159). Springer Berlin Heidelberg. doi:10.1007/978-3-642-13422-7_9. Nguyen, L., & Do, P. (2009). Combination of Bayesian Network and Overlay Model in User Modeling. (M. E. Auer, Ed.) International Journal of Emerging Technologies in Learning (iJET), 4 (4), 41-45. doi:10.3991/ijet.v4i4.684. Nguyen, L. (2015, November 13). A New Approach for Collaborative Filtering based on Bayesian Network Inference. The 7th International Joint Conference on Knowledge Discovery, Knowledge Engineering and Knowledge Management. 1: KDIR (IC3K-2015), pp. 475-480. Lisbon, Portugal: SCITEPRESS - Science and Technology Publications, Lda. doi:10.5220/0005635204750480. Nguyen, L. (2014, December 6). Evaluating Adaptive Learning Model. Interactive Collaborative Learning (ICL), 2014 International Conference on (pp. 818-822). Dubai, UAE: IEEE Publisher. doi:10.1109/ICL.2014.7017878. Nguyen, L. (2010). Convergence of Confucianism, Buddhism and Taoism. In L. Nguyen (Ed. ), Leu Chong Zen Club‘s Conference. Ho Chi Minh city, Vietnam: Loc Nguyen‘s Homepage. doi:10.13140/RG.2.1.2004.0407. Nguyen, L. (2010). Overview of The System of Acupuncture Spots in Oriental Medicine based on Oriental Philosophy. (L. Nguyen, Ed.) 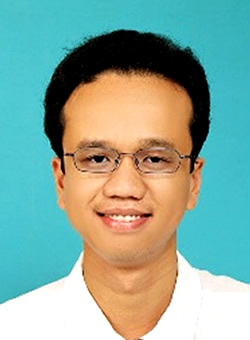 Retrieved from Loc Nguyen‘s Homepage: https://drive.google.com/file/d/0ByHQY9CungG-MkhmaHhTTWlRRW8/edit?usp=sharing. Nguyen, L. (2009, September 25). Incorporating Bayesian Inference into Adaptation Rules in AHA architecture. Proceedings of 12th International Conference Interests Interactive Computer aided Learning (ICL2009). Villach, Austria: Kassel University Press, Kassel, Germany. Retrieved from http://www.icl-conference.org/dl/proceedings/2009/archive.htm. Nguyen, L. (2009, August 31). A Proposal Discovering User Interests by Support Vector Machine and Decision Tree on Document Classification. The International Workshop on Social Networks Mining and Analysis for Business Applications (SNMABA2009) in conjunction with The 2009 IEEE International Conference on Social Computing (SocialCom), 4, pp. 809-814. Vancouver, Canada: Computational International Conference on Science and Engineering 2009 (CSE ’09), IEEE Publisher. doi:10.1109/CSE.2009.112. Nguyen, L., & Do, P. (2009, July 16). Evolution of parameters in Bayesian Overlay Model. In H. R. Arabnia, D. d. Fuente, & J. A. Olivas (Ed. ), Proceedings of The 2009 International Conference on Artificial Intelligence (IC-AI’09), The 2009 World Congress in Computer Science, Computer Engineering, and Applied Computing (WORLDCOMP’09) (pp. 324-329). Monte Carlo Resort, Las Vegas, Nevada, USA: CSREA Press USA. Retrieved from http://www.researchgate.net/publication/220834553_Evolution_of_Parameters_in_Bayesian_Overlay_Model. Nguyen, L. (2009, July 16). State of the Art of Adaptive Learning. In H. R. Arabnia, A. Bahrami, & A. M. Solo (Ed. ), Proceedings of The 2009 International Conference on e-Learning, e-Business, Enterprise Information Systems, and e-Government (EEE 2009). The 2009 World Congress in Computer Science, Computer Engineering, and Applied Computing (WORLDCOMP’09) (pp. 126-133). Las Vegas, Nevada, USA: CSREA Press USA. Retrieved from http://www.researchgate.net/publication/220834553_Evolution_of_Parameters_in_Bayesian_Overlay_Model. This is study report which does not contains my scientific findings. I keep it in my publications so as to note my first effort in research career and express my deep gratitude to authors who provided me theirs invaluable materials and works for studying in my early research career. For authors who I did not make references to their works, I apologize deeply them for this error. For fixing the error, I have made full references in the book containing this report. Nguyen, L. (2009, July 10). ZEBRA: A new User Modeling System for Triangular Model of Learners‘ Characteristics. In G. D. Magoulas, P. Charlton, D. Laurillard, K. Papanikolaou, & M. Grigoriadou (Ed. ), AIED 2009: 14th conference on Artificial Intelligence in Education, Proceedings of the Workshop on “Enabling creative learning design: how HCI, User Modeling and Human Factors Help” (pp. 42-51). Brighton, United Kingdom: IOS Press Amsterdam, The Netherlands, The Netherlands. Retrieved from http://www.dcs.bbk.ac.uk/~gmagoulas/LD_WorkshopsProceedings-web.pdf#page=46. Nguyen, L., & Do, P. (2009, June 3). Learning Concept Recommendation based on Sequential Pattern Mining. In E. Chang, F. Hussain, & E. Kayacan (Ed. ), Proceedings of The 2009 Third International Digital Ecosystems and Technologies Conference (IEEE-DEST 2009) (pp. 66-71). Istanbul, Turkey: IEEE Publisher. doi:10.1109/DEST.2009.5276694. Nguyen, L., & Do, P. (2008). Learner Model in Adaptive Learning. Ho Chi Minh, Vietnam: University of Information Technology. This is study report which does not contains my scientific findings. I keep it in my publications so as to note my first effort in research career and express my deep gratitude to authors who provided me theirs invaluable materials and works for studying in my early research career. For authors who I did not make references to their works, I apologize deeply them for this error. For fixing this error, I have made the full references in the book that contains this report. Loc Nguyen was named in the Handbook & List of Members - 150th Anniversary Edition of London Mathematical Society. Loc Nguyen received the big award in May 17, 2016. Honorable voter of American Statistical Association (ASA) Election on May 1, 2016. 04/2016 (3): Certificate to reviewer awarded by SCIENCEDOMAIN international. 04/2016 (2): Certificate to reviewer awarded by SCIENCEDOMAIN international. 04/2016 (1): Certificate to reviewer awarded by SCIENCEDOMAIN international. 03/2016: Certificate Of Reviewer Recognition awarded by Global Research and Development Journals (GRD). 03/2016: Appreciation Letter For Active Reviewers awarded by International Academy of Computer & IT Engineering (IACITE). 03/2016: Excellent evaluation on the article “New version of CAT algorithm by maximum likelihood estimation” by Sylwan Journal (Thomson Reuters-SCIE). 03/2016: Appreciation Letter For Active Reviewers awarded by Emirates Association of Computer, Electrical & Electronics Engineers (EACEEE). 03/2016: Appreciation Letter For Active Reviewers awarded by International Institute of Engineers (IIE). 03/2016: Certificate to reviewer awarded by SCIENCEDOMAIN international. 03/2015-04/2015: Fellowship awarded by Royal Statistical Society. 02/2016 (2): Certificate to reviewer awarded by SCIENCEDOMAIN international. 02/2016 (1): Certificate to reviewer awarded by SCIENCEDOMAIN international. 01/2016 (2): Certificate to reviewer awarded by SCIENCEDOMAIN international. 01/2016 (1): Certificate to reviewer awarded by SCIENCEDOMAIN international. 12/2015: Participating in the seminar “Awareness of International Enterprise Integration”, PACE Institute of Management and The Institute for Research on Educational Development (IRED), 28th December 2015, Ho Chi Minh city, Vietnam. 12/2015: Certificate to reviewer awarded by SCIENCEDOMAIN international. 12/2015: Professional member of Association for Computing Machinery (ACM). 11/2015: Elected member of London Mathematical Society (LMS). 11/2015: Academic Partners of International Joint Conference on Knowledge Discovery, Knowledge Engineering and Knowledge Management (IC3K). 11/2015: Certificate to the paper “A New Approach for Collaborative Filtering based on Bayesian Network Inference” certified by Institute for Systems and Technologies of Information, Control and Communication (INSTICC). 11/2015: Certificate to the research project “Hudup – A framework of e-commercial recommendation algorithms” certified by Institute for Systems and Technologies of Information, Control and Communication (INSTICC). 11/2015: Academic Editor of the article “Role of Feature Selection on Leaf Image Classification” published in Journal of Data Analysis and Information Processing (JDAIP), Scientific Research Publishing (SCIRP). 10/2015: Certificate to reviewer awarded by International Knowledge Press. 11/2015: Schengen visa entry permission for joining The 7th International Joint Conference on Knowledge Discovery, Knowledge Engineering and Knowledge Management (IC3K 2015) at Lisbon, Portugal. 09/2015: Invitation letter for Portugal visa entrance to participate in The 7th International Joint Conference on Knowledge Discovery, Knowledge Engineering and Knowledge Management (IC3K 2015) by Institute for Systems and Technologies of Information, Control and Communication (INSTICC). 09/2015: Acceptance letter for participation in the European Project Space with the project “Hudup – A framework of e-commercial recommendation algorithms” by Institute for Systems and Technologies of Information, Control and Communication (INSTICC). 09/2015: Acceptance letter for publishing the paper “A New Approach for Collaborative Filtering based on Bayesian Network Inference” by 7th International Conference on Knowledge Discovery and Information Retrieval (KDIR 2015), Thomson Reuters - CPCI. 09/2015: Certificate to reviewer awarded by SCIENCEDOMAIN international (India, UK, USA). 07/2015: Posdoctoral Dissertation “Mathematical Approaches to User Modeling” submission successful in Journals Consortium. 05/2015: Technical Program Committee member of International Conference on Data, Information and Knowledge Management (DIKM 2015), Guilin, China. 04/2015: Awarded to be student for Global MBA (Project Management) at London School of Business and Finance (LSBF) due to notable achievement. The London School of Business and Finance (LSBF) gains fine reputation recognised with a Queen‘s Award for Enterprise - further evidence of commitment to innovation, sustainability and development. 04/2015: LAMBERT Academic Publishing - a trademark of OmniScriptum GmbH & Co. KG awards to publishing the book “Matrix Algebra and Calculus”. 04/2015: Certificate to reviewer awarded by SCIENCEDOMAIN international. 03/2015: Co-leader of the project “Ebola Recovery” created and owned by Statistics Without Borders - American Statistical Association and British Red Cross. 02/2015: Member of Quality Assurance Committee of Statistics Without Borders - American Statistical Association. 02/2015: Lead Guest Editor of Special Issue “Some Novel Algorithms for Global Optimization and Relevant Subjects”, Applied and Computational Mathematics Journal. Science Publishing Group, USA © Copyright 2015-2017. 02/2015: Acceptance letter for publishing the article “Theorem of SIGMA-gate Inference in Bayesian Network” by Wulfenia Journal (Thomson Reuters-SCIE). 01/2015: Editorial Board Member of American Journal of Computer Science and Information Engineering, International Journal of Mathematical Analysis and Applications - American Association for Science and Technology (AASCIT). 01/2015: Reviewer of American Journal of Science and Technology, American Journal of Computer Science and Information Engineering, International Journal of Mathematical Analysis and Applications - American Association for Science and Technology (AASCIT). 01/2015: Scientific Research Publishing (SCIRP), China awards to publishing the first edition of the book “Mathematical Approaches to User Modeling”. 12/2014: Visa entry permission for joining The 17th International Conference Interactive Collaborative Learning (ICL2014), The 2014 World Engineering Education Forum (WEEF2014) at Dubai, UAE. 12/2014: Certified for attending The 2014 World Engineering Education Forum (WEEF2014) at Dubai, UAE. 10/2014: Appreciation Letter For Reviewing Article - PAK Publishing Group, Pakistan. 11/2014: Reviewer of International Journal of Mathematical Research - PAK Publishing Group, Pakistan. 11/2013 - 08/2014: Scholar visiting at Institute of Mathematics - Vietnam Academy Institute of Science and Technology. 08/2013: Joining the 8th Vietnam National Congress of Mathematics. 08/2013: Best innovators award for the course “Business Plan & Innovation” with the contesting product “Hudup – A framework of e-commercial recommendation algorithms”. Vietnam Chamber of Commerce and Industry (VCCI), Vietnam–Germany University and Leipzig University, Germany. 08/2013: Excellent completing the course “Sale Plan Skill”, awarded by EduGlobal Institute, Ho Chi Minh city, Vietnam. 08/2013: Excellent PhD research dissertation awarded by Standard Research Journals.